The world's greatest firearms inventor. Born in Ogden, Utah. 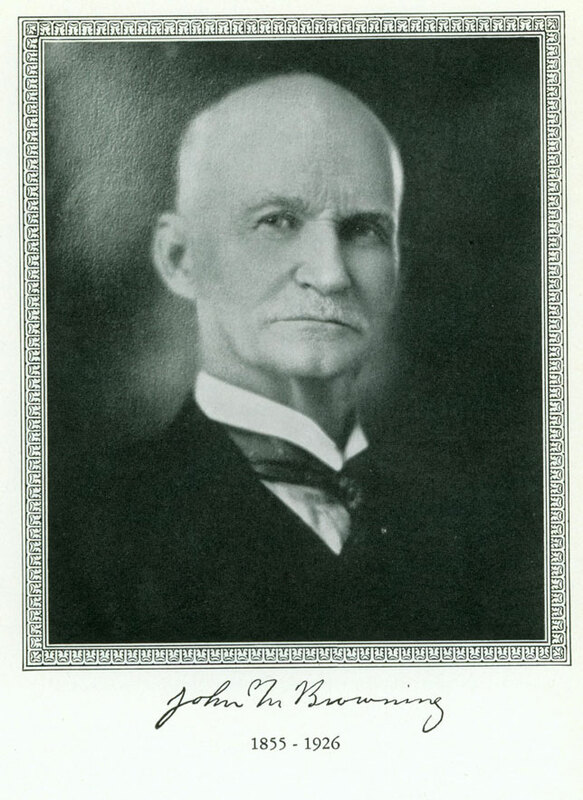 While he made some guns himself, normally, he licensed his designs to prominent manufacturers such as Colt, Fabrique National and Winchester.While Samuel Colt and Paul Mauser achieved fame basically as a result of one idea, John M. Browning produced dozens of the most successful fireams designs, including the Winchester 1885, 1886, 1892, 1894 and 1895 rifles; The Colt 1903, 1908, 1911 and Woodsman pistols; the Browning Auto-5 and Superposed shotguns; as well as the BAR, 1917 and M2 .50 calibre machine guns. 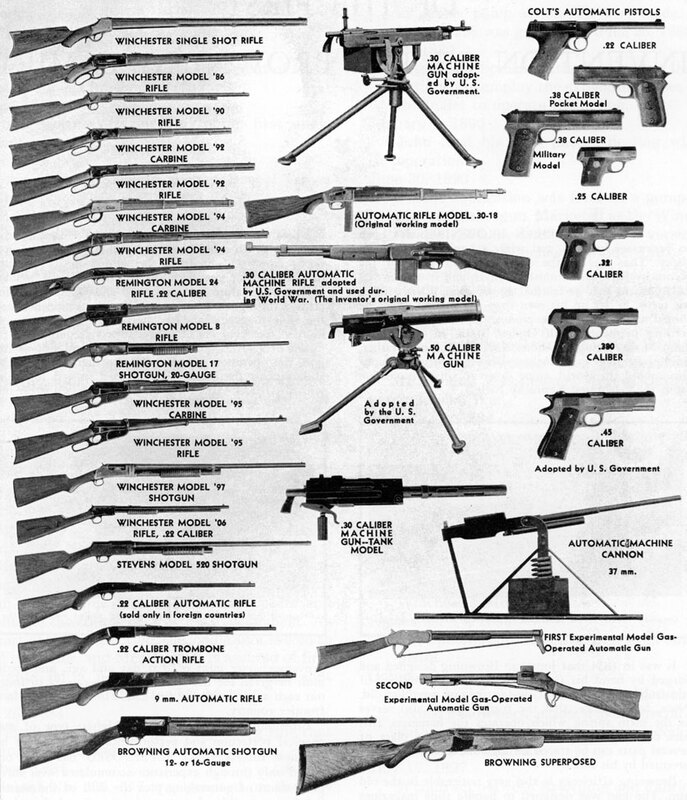 The Hallowell & Co Illustrated Firearms Dictionary is for informational purposes only. We do not necessarily offer the items described above for sale. Please click on any of the links below to see what we actually do have available for purchase.